Why games and why now? Kochikar: This region has a big tradition of playing games, like ludo, carrom, etc. So we think that there’s a real opportunity for innovation from here. Plus, all the numbers about this region taking off as users, connected devices, etc., it’s also becoming an attractive region from a business perspective. How do you solve the problem in India and the region of people not willing to pay for content? Soni: This problem needs to be solved at multiple levels. One is that there is a demand for gaming, which we see is improving. Yes, there are people who are playing free games, but there are also people who are seeing value in paying for apps, features, etc. There are close to 200 million gamers in India today and it’s growing significantly. As they get access to better quality content, they will engage even more. The other problem that needs to be solved is the ability to pay. Do we have the right ecosystem investments happening to ensure that people can pay if they want to? That’s where a lot of our efforts are. In India, we now have carrier billing, gift cards, digital codes with Paytm, etc. And that’s translating into high wire growth across a lot of titles. Is UPI being integrated into Google Play Store as a payments option? Soni: We are working with all options. This is an important area for us, to make sure we have a best in class commerce platform. So, yes, UPI, wallets and all those options are being evaluated and you’ll hear more as those things are ready for launch. In the global scheme, there’s a lot of focus on AR/VR space. So, when you look at developers who are coming here, do you have special focus on the guys who are working with AR/VR and other future facing apps/games? Soni: We support innovation in all shapes and forms. Innovation can be something very simple, it doesn’t have to be AR/VR led. As long as it’s meaningful for the audience, it works. At the same time, if there are developers who want to push the boundaries, absolutely, we equip them with the resources and documentation that they need to create such content. 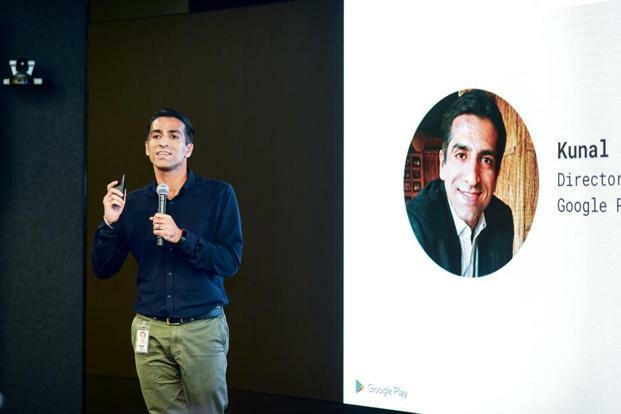 How does Google help Indian developers who want to target the global market? Soni: There are developers who have come up with global hits, based in India, like Star Chef. We’ve got market experts and global teams across the world that can provide very hands-on market expertise to developers and we can connect them to the developers. The other way we advise developers is localization, helping them understand how to localize and connecting them with local agencies if required. The third area where we engage is Store promotions. We have a number of promotions all the time. We look for opportunities around our merchandising calendar to showcase content, provided it meets our quality bar. The gaming industry has always been driven by the big companies who have a lot of money. Do you think the Indie guys can get an advantage in mobile because mobile gamers do not really understand or follow specific companies? Kochikar: I think mobile has created a whole new industry globally. In an interesting way, those AAA companies (the big gaming firms) are learning from mobile right now. Companies like Rovio, Supercell, etc. didn’t come from a AAA background. They fundamentally asked themselves how people play on mobile, how to think about short session gameplay, how to think about small screen engagement, how to take small screen experiences and tie them to the real world (like Pokemon Go). At the same time, we are super excited about AAA titles (like PubG) coming to mobile. AAA guys are learning from mobile developers how they can create short session gameplay, running games as a service, etc. How does a games accelerator differ from a start-up accelerator? Kochikar: Think of games as a specialised vertical, who have their own senses about things — how to design a game, etc. By doing an Indie Games Accelerator, we bring in specialised experts who are game centric. We could have brought venture capitalists (to speak to the developers), but instead we brought in CEO’s of game companies, experts in game design, people who understand game performance etc. ← Maturity of Mutual Fund Scheme of Reliance Mutual Fund.